Dogs are famous for having healthy appetites, and we often treat them with a piece of pizza or leftovers. If you can resist your dog’s pleading eyes and charm, they’ll most likely try their luck rummaging through the trash can. Although dogs are omnivores, they can sometimes become intolerant to some food ingredients which can cause stomach and skin problems. With these types of dogs, it’s essential to figure out what’s the main reason for their gastrointestinal issues before they become to sever. If your dog is experiencing flatulence, vomiting or diarrhea, you need to find the best dog food for the sensitive stomach to make him feel better. There’s a variety of different products available, and to make your search easier we’ve come up with a list of 2018 recommendations for dog food for stomach and skin problems. Now, you’re probably eager to find out what is the best dog food for a sensitive stomach, and with no further delay, you can find our ten recommendation for sensitive stomach food formulas below. Best Canned Dog food For Sensitive Stomach – This product is a reasonably priced formula for puppies with sensitive stomachs. It will provide your pup with easily digestible nutrients that are also specially selected to help with their development. Beside this formula, there are also chicken and turkey flavors for picky eaters and puppies who can’t eat lamb. This formula is made from natural ingredients and doesn’t contain any meat by-products, soy, artificial flavors or preservatives. The main ingredient of this wet dog food formula is chicken broth, followed by lamb, and contains 8.5% of crude protein. Sunflower oil is the primary source of fat, and this puppy food contains 7.50% of crude fats that are essential for your pooches health and growth. Starting your puppy on this formula will clear up all of their skin problems and maintain their healthy/shiny coat. This dog food isn’t grain-free, but it contains easily digestible whole grains like ground rice which are perfect for puppies with stomach problems. These ingredients make this formula one of the best dog foods for diarrhea since rice has soothing effects on your pup’s stomach. To make this food complete and balanced, NUTRO added all the required vitamins like A, E, B12, and D3 necessary for a healthy immune system and growth. With plenty minerals like zinc, calcium, and potassium you can be sure that your dog is eating healthy, quality ingredients. Best Dog Food To Prevent Gas:This product is a premium quality formula of canned dog food that is suitable for all dogs, and since it has limited ingredients, it’s a perfect grain free food for sensitive stomachs. This food comes in a variety of flavors to indulge the cravings of picky eaters. The main ingredient of this limited-Ingredient canned dog food is chicken, followed by chicken broth that accounts for a minimum of 5.5% crude proteins. This dog food provides a limited diet created to maintain digestive health and helps dogs with sensitive stomachs. The primary source of fat is canola oil that attests to a minimum of 3.5% crude fats in this canned dog food. Omega 3 and 6 fatty acids are there to keep your dog’s skin/coat healthy and shiny; extremely important for dogs who have skin allergies. This formula contains easily digestible carbohydrates like sweet potato which won’t cause any vomiting, diarrhea. Additionally, it’s one of the best foods for dogs with gas. With a maximum of 1.5% of crude protein, you can rest assured your dog won’t experience any gastrointestinal problems. With a variety of different tastes, this food is appropriate for all dogs and designed to be delicious even for picky eaters. This complete and balanced diet contains all the necessary vitamins and minerals. It’s made with premium quality, fresh ingredients to maintain your dog’s digestive health. Best Grain Free Dog Food For Sensitive Stomach – Holistic Select made this grain-free pate recipe with high-end ingredients and probiotics to help your dog’s digestion. This formula is an excellent choice for puppies and adult dogs who have sensitive stomachs and food allergies. The main ingredient of this protein-rich food is chicken, followed by chicken broth, and chicken liver. Combined these ingredients make no less than 12% of crude protein which means that this delicious pate is a real protein powerhouse. Ground flaxseed is responsible for a minimum of 6% crude fat to keep your dog’s coat/skin in pristine condition. With no grains, this pate sports only easily digestible carbohydrates like ground dried peas and pumpkin powder that is known for it soothing abilities. With only 1% of crude fibers, this pate won’t cause any stomach problems. To help with your dog’s digestion, Holistic Select made this formula with prebiotics and probiotics to stimulate the growth of healthy bacteria in the gut. It also contains live yogurt cultures and digestive enzymes to enhance digestion and absorption of vitamins and minerals. This dog food has a complete and balanced formula that contains vitamins from apples and blueberries and plenty of minerals. All this makes it suitable for everyday feeding of allergic and stomach sensitive dogs. Best Sensitive Stomach Dog Food – This company is one of the best food brands available, and they have lines designed to suit the needs of any dog. This dog food has a limited ingredient formula that can satisfy German Shepherds with sensitive stomachs among many other breeds. As the name of the line tells you, this is a simple formula that contains only one source of protein to make the digestion that much easier. The main ingredient in this dry dog food formula is salmon which is a source of vitamins, minerals, and omega fatty acids. With 25% of crude protein, this is an easily digestible dog food for adult dogs. Ground flaxseed and canola oil are the primary sources of fat and with a minimum of 12% crude fats, will keep your dog’s skin/coat healthy and shiny. This grain-free formula comes from potatoes and peas which are easy to digest and won’t cause any stomach issues. With 5% of crude fibers, this dry dog food formula will make digestion a breeze and won’t cause any flatulence, gases or vomiting. Wellness also included chicory root as a natural prebiotic to support a healthy digestive system. This well-balanced formula is specially made with limited ingredients to cater to unique needs of dogs with sensitive stomachs. Along with all the necessary vitamins and minerals to maintain your dog’s immune system and overall health, omega 3 and 6 fatty acids will improve the state of your dog’s coat and skin and make it shiny and healthy. Highly Digestible Dog Food – When it comes to specially tailored foods for various health problems, this brand is one of the leading ones in today’s market. This dry dog food formula is made to provide all the necessary nutrients for large breed dogs using only high-quality ingredients. The main ingredient in this large breed formula is lamb meal, as the only protein source suitable for dogs who have sensitive stomachs and allergies. With 23.3% of crude protein, you can be sure that your large dog will maintain their healthy muscle tissue. This dog food isn’t a grain free formula, so if your dog is intolerant to grains, this isn’t the right pick for you. Still, brewers rice and Whole grain wheat are easy to digest and attest to the 2% of crude fiber in this dry dog food. The primary source of fat is pork fat that provides 15.8% of crude fat that will keep your dog’s skin/coat in pristine condition. Omega 6 and 3 fatty acids in this formula promote a noticeably shinier coat in 30 days. Glucosamine and chondroitin will keep your dogs joint and cartilage healthy and strong, which is super important for large breeds that are prone to joint problems. With no artificial colors, flavors, and preservatives and with easily digestible grains, this dry dog food is suitable for dogs who have sensitive stomachs and frequent loose stools. In the end, it’s a well-balanced formula suitable for daily feeding that will soothe your dog’s tummy and give him all the necessary nutrients for optimal health. Best Gastrointestinal Dog Food – This high-quality dry dog food formula has limited ingredients and is an excellent choice for Boxers with sensitive stomachs among other breeds. This dry dog food always has one main protein ingredient for allergic dogs. BLUE Basic Limited-Ingredient Formula comes in four different flavors and owners can choose between chicken, turkey, lamb or salmon. This particular formula has deboned turkey as its prime protein source that provides a minimum of 20% crude protein. With highly digestible oatmeal, brown rice, peas and potatoes, you will no longer have to worry about your dog’s food sensitivities. With a maximum of 6% crude fibers, your dog’s gastrointestinal system will have no troubles. Canola oil and fish oil are the primary sources of fat in this dry dog food, and as sources of Omega 3 and 6 fatty acids will keep the skin/coat of your pooch healthy and shiny. With 12% of crude fats, this formula will keep your dog energized throughout the day. Pea fiber and pumpkin are also present to make digestion more comfortable and without any additives, artificial colors and flavors; this is a healthy choice for dogs who have sensitive stomachs. One more great feature is the LifeSource Bits that are cold-formed to maintain all the right ingredients. These bits are mixed with regular kibble to make a blend that is rich in antioxidants, vitamins, and minerals. It creates a balanced diet suitable for daily feeding for dogs who are suffering from allergies and have troubles with digestion. With limited premium quality ingredients, you can be sure that you’re feeding your dog with the right food. For sensitive stomach and gas. Some dogs don’t like it. Best Dog Food For Sensitive Stomach And Diarrhea – Purina Pro made this dry dog food with pure, natural ingredients suitable for sensitive stomachs. With carefully picked ingredients, this formula is even appealing to picky eaters. The main ingredient is salmon, which is a novelty source of protein and attest to 26% of crude proteins in this formula. If by any chance your dog doesn’t like fish, Purina Pro makes this formula with different meaty flavors to cater the appetites of any dog. Barley, ground rice, and oatmeal are complex carbohydrates that are easy to digest and won’t cause stomach issues. With 4% crude fibers, this formula will make a digestive system run smoothly, and your pooch won’t have diarrhea anymore. Sunflower oil is a source of fat and nutrient that will maintain the health of your dog’s skin and make his coat shiny. With omega 3 and 6 fatty acids, even the prior existing skin rashes and red spots will clear. With no corn, wheat or soy this food’s specially made for dogs with stomach sensitivities and bad digestion. No added colors, preservatives and flavors are present in this dry food. This dry dog food contains chicory root as a natural source of prebiotics to help with digestion. Focus line is suitable for every day feeding and will provide a well-balanced meal for dogs who suffer from skin allergies and poor digestion. Best Senior Dog Food For Sensitive Stomach – IAMS Sensitive Naturals Adult Ocean Fish And Rice Recipe Dry Dog FoodThis formula’s a popular choice for dog’s with a sensitive stomach; and since it’s appropriate for all dogs, it’s an excellent choice for senior dog food. IMAS Sensitive Naturals is an excellent choice since it contains ocean fish as the novelty protein that won’t cause stomach problems. The primary source of protein in this dry dog food formula is ocean fish, accompanied by fish meal that is also a source of fish oil. With a minimum of 23% of crude protein, this formula will maintain the muscle tissue of adult, senior or young dogs. Brewers rice, ground whole grain sorghum, and ground whole grain barley are easily digestible carbohydrates that won’t cause stomach issues. With 5% of crude fiber, your pooches’ gastrointestinal system will work properly, and they will no longer have loose stools. The primary source of fat is fish oil derived from fish meal and provides 13% of crude fat. Fish oil is extremely healthy for dogs who have skin allergies/rashes and will keep their coat healthy. With plenty vitamins, minerals, and antioxidants that are necessary for optimal health and bodily function, this dog food truly is a well-balanced formula suitable for daily feeding. The primary source of protein is chicken followed by turkey meal, chicken meal, and salmon meal for a variety of meaty flavors. This dog food is an all life stages formula has a minimum of 37% of crude proteins that are enough to fulfill the needs of puppies and senior dogs. Chicken fat is the primary source of fat and energy and provides 20.50% of crude fats. It’s an excellent source of energy and provider of healthy skin/coat. Since this is a grain-free formula, easy to digest peas and chickpeas are the primary sources of fiber. This formula contains 4% of crude fibers that are appropriate for dogs with sensitive tummies, experience vomiting, or diarrhea. Freeze-dried raw bits of chicken are packed with proteins and make sure that your pooch gets all the nutrients they require. With all the necessary vitamins, minerals, and antioxidants, this is a complete and balanced diet suitable for daily feeding for food sensitive dogs. Dry Dog Food For Sensitive Stomach – This formula helps minimize stomach sensitivity and improves the state of your dog’s skin and coat. To help your dog, Nutro made this formula without corn or wheat since they’re known as primary reasons for stomach sensitivity in dogs. The main ingredient is U.S farm raised chicken that is the source of 22% of crude proteins. With enough amino acids, this formula will keep your dog’s muscle tissue healthy. Whole brown rice and brewers rice are easily digestible carbohydrates suitable for sensitive stomach and gastrointestinal problems. With 3.5% of fibers, your dog’s belly will be full of healthy and nutritious ingredients. The primary source of fat is chicken fat that is good for dogs who have skin and coat problems caused by allergies. With 14% of crude fat, this dry food formula will give your dog enough energy to keep them active. With antioxidants, vitamins, and minerals, this is a high-quality, nutritious food for daily feeding. 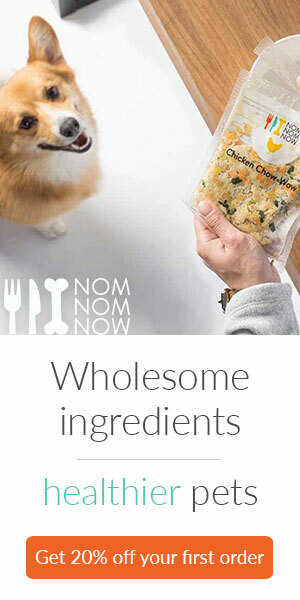 It’s specially made to improve the state of your dog’s stomach. Also, there is a variety of different flavors of this formula, so, you can be sure that you’ll find the one that suits your dog. How To Find The Best Dog Food For Sensitive Stomach? Flatulence, gases, vomiting, and loose stools occur in dogs with sensitive stomachs, but they can also be signs of an underlying issue. So before you start searching for dog food that helps an upset stomach, take your dog to the vet: he can rule out diseases that present with these symptoms. What Are The Signs Of A Sensitive Stomach In Dogs? – If your dog has a clean bill of health, but he’s experiencing one or more of the following symptoms, it’s time to find out what is causing the intolerance or allergy.- Vomiting- Diarrhea- Painful bowel movements- Itchy skin- Itchy ears- Skin rashes- Energy changes- Loss of appetite- Unwillingness to eat at mealtimes- Flatulence and gas- Noisy stomach Once you find the culprit, you can transition your pooch onto dog food for allergies and a sensitive stomach. What Are The Common Trigger Foods?- Just like humans, dogs can become allergic and develop stomach sensitivities during all their life stages. When a dog is eating the same type of ingredients for long periods of time, he can become intolerant and exhibit symptoms of a sensitive stomach and diarrhea.- Common trigger foods are:- Dairy- Eggs- Wheat- Soy- Beef- Chicken- LambTo find the best sensitive stomach dog food, you need to find out what ingredient is causing the stomach issues/skin problems and remove it from your dog’s diet. This process is called an elimination diet. What Is An Elimination Diet? – The only way to find the best dog food for a sensitive stomach is to learn what’s causing them. An Elimination diet involves removing certain foods from your dog’s diet until all of his symptoms disappear.You should start with the standard trigger foods and work your way from there. For example, if you remove chicken from your dog’s diet and all of their symptoms disappear, your dog’s food shouldn’t contain chicken as an ingredient. What Are The Traits Of Easily Digestible Dog Food? – In order to find a good and healthy dog food that will meet the nutritional needs of your dog, but also help with his digestion you need to look for these things: – Complete and Balanced: This formula contains all the necessary macronutrients and micronutrients. Dogs with sensitive stomachs that resulted from nutrient deficiency need a complete and balanced diet- Hydrolyzed: Many dog foods for digestive problems are labeled as hydrolyzed protein diets, this means that protein is broken down into smaller segments that make it easier to digest.- Novel protein: If you see this on a dog food, it means that the main ingredient is a meat-based protein from an animal that your dog has never eaten before, venison, duck, rabbit, or bison are the most likely choices.- Grain-free: Since grains like corn, soy, and wheat are known to cause stomach and skin problems, you should go with an easily digestible grain-free formula of dry or canned dog food. You could still opt for whole grains like brown rice and oats: they’re less likely to cause any stomach issues.- Probiotics: Probiotics are great for your dog’s overall health, but they’re essential for dogs who have sensitive stomachs. Probiotics are live bacteria that prevent diarrhea and help with digestion. They’re necessary for the regular and healthy functioning of your dog’s digestive system.When looking for a new food for your dog’s sensitive stomach, make sure that you read labels carefully. It’s the only way you can be sure that the dog food has all the right ingredients. How To Transition Your Dog To The New Formula? – Just like when you’re buying any other dog food, your pooch needs time to adjust to the flavor of the best dry dog food for their sensitive stomach. The transition period may last from 10 to 14 days.After so much research and shopping, you are ready to start your dog on his new diet right away, but this would probably end up with your dog’s refusal of the new food. Be patient and start slow with only 10 % of the new food mixed with the 90% of old and go from there until your dog is entirely used to the flavor. If you notice any signs of stomach sensitivities in your dog, we advise you to take him to the vet. Sometimes these signs can be symptoms of an underlying condition, and in most cases, the sensitivity is from their food. In this case, you need to find out what ingredient is causing your dog’s symptoms and start him on the best dog food for dogs with sensitive stomachs to make him better. Food sensitivities aren’t uncommon in dogs, and it’s essential you deal with them in time to maintain the overall health of your dog. Always read labels carefully and pick dog foods made with fresh, high-quality ingredients that will meet your dog’s nutritional needs.